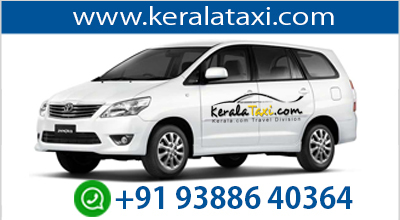 The people on the banks of Vembanad Lake are generally peace-loving and follow a neat and healthy lifestyle. Their dressing is immaculate, usually spotless whites. They keep their dwellings and surroundings very clean. The food mainly consist of rice and fish. For breakfast it is usually 'Dosa' or 'Idly', both made from rice paste, swallowed down with coconut chutney. Fish is a very important item in their menu for lunch and dinner . 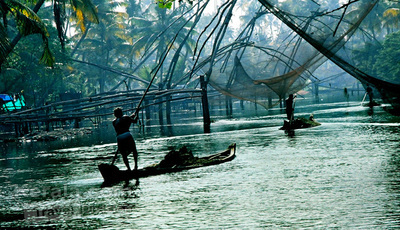 'Karimeen' a spotted fish is a special gift of the backwaters. Fishing is a livelihood for the backwater people. The menfolk use small fishing boats and nets. Even the women have developed skills in fishing. They walk neck-deep in water carrying terracotta pots with them. The 'Karimeen' on seeing the fisherwomen bury their heads in the mud underwater. The women feel the fish with their toes and grab them and deposit in the earthen pots they carry. 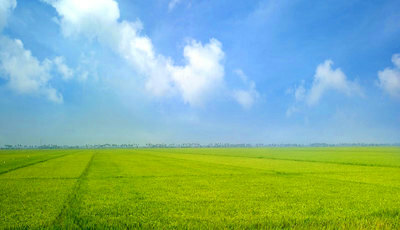 Kuttanad is believed to have been under the sea . Later when the sea receded the land that was under the sea became marshes. As a testimony to this fact, one can see large deposits of shells in the lakes here, that are usually found in the sea. The people of the backwaters know the spots where large number of fresh water mussels breed. They anchor their boats over these places, dive down and bring up basket loads of these shells. The shells are then burnt in kilns on the banks making an excellent building lime. This is another alternative source of income for many people in this area. Paddy remains the major crop. Bunds are constructed around the lake and water is pumped out to make it suitable for farming. The method adopted for farming is in the style adopted in Holland. Coconut, cocoa and banana are also cultivated. Swaying coconut palms are a common sight throughout Kerala. They give a distinctively green touch to Kumarakom. Water of tender coconut is the finest drink in the world and it is no doubt a valuable gift of nature to mankind. It has numerous medicinal properties. No other drink leads itself to such diversity of applications and uses in our traditional system of medicine. Toddy which is tapped from coconut trees is a favourite drink among the rural men folk as well as visiting tourists. 'Kappa' (Tapioca) and fish curry served with toddy make a unique combination. .